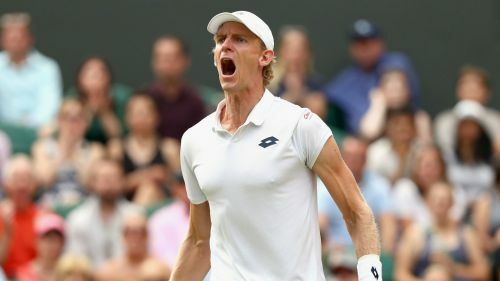 Kevin Anderson remains hungry for his first taste of grand slam success despite spending almost 11 hours on court in his last two Wimbledon matches. After coming from two sets and match point down to defeat eight-time champion Roger Federer in a four-hour quarter-final, the South African spent even longer on court on Friday. The eighth seed required six hours and 36 minutes – the second-longest match in Wimbledon history – to overcome John Isner 7-6 (8-6) 6-7 (5-7) 6-7 (9-11) 6-4 26-24 and book his place in a second major final in under a year. Anderson was defeated by Rafael Nadal – who could be his opponent in the All England Club showpiece after the Spaniard's match against Novak Djokovic was heavily delayed and carried over to Sunday – in the 2017 US Open final and is keen to go one better at the second time of asking. "Obviously, it's not going to be easy. I'd like to have been done a little bit earlier in terms of my recovery, playing against two of the greatest players of all time," said Anderson. "All I can do is control what I can control, do my best at getting as recovered as possible. "Starting this week off, I came in here with a goal of firstly beating my best result, but at the same time putting myself in this position. "At the US Open I was in the final. Maybe I felt sort of my crowning achievement was actually getting to the final. I'm definitely hungry to go one step further. "I'm going to obviously have to pay a lot of attention to my recovery to try and give myself the best shot possible." Anderson will venture through uncharted territory ahead of the final, having never spent so long on court before. He added: "Obviously, I need a lot of treatment in terms of getting the body back balanced and stuff, but at the same time obviously sleep is important, too. "We're going to see how I feel, see how my body reacts in the morning. My feet are sore, they're swollen. The legs are pretty jelly-like. "Ideally I'd like to get out and hit for maybe 30 minutes [on Saturday], just keep the eye in, try to keep the same sort of routines that we've been having. "But I've never played a match this long, so it will be something we'll have to see how things go."